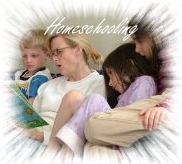 Seeking out Affordable Homeschool Curriculum? It may surprise you the costs involved. Some parents are simply not aware of the costs involved. The moment you decide to home school your children, doesn’t mean that the educational expenses for education will go away. In fact, this misconception has led some parents down the wrong path in choosing home schooling. They need to understand that home schooling is a financial investment. It may definitely be less money than sending a child to a private school or hiring a tutor, but when you are a homeschool parent you invariably have to invest a lot of money in buying curriculum materials. Parents have to buy basic classroom materials, including textbooks, pens, paper, and the list goes on. Besides all this, there is other education-related equipment that is necessary to making your house more conducive to helping your child learn their lessons. This, in my opinion is the largest cost. Educational equipment can be everything from dry erase board, computer, monitor, markers, desk lamps, desk chairs, stapler, etc.. Since the child will be spending a lot of time at home it is important to realize also that your child needs the environment to be easy to study by, so looking at improving the lighting and ventilation will help. This may cost some money as well. I have seen parents that have even added on to their house to give their homeschooling children the room that they need to succeed. A home improvement like this may be tax deductible so you may want to get the advice of a tax accountant. Affordable Homeschool Curriculum – What Are The Costs? Moreover, as a home schooling parent, you need to be aware of the fact that any school will improve its technology on a yearly basis to keep up with the latest technological advances. It is good to know what kind of technology is being used in the schools so that you can also use this for your child’s process if it fits your budget and works for your child. The money spent on a computer and internet connection is valuable but make sure you buy software to limit the sites that your child can access. However, the biggest cost is primarily the loss of one parent’s income to having to stay at home and supervise the children. The income lost can be a big impact on the family’s financial stability unless one parent has a really good income. But as has been said, there are ways to make the expenses worthwhile. Make sure you understand what home schooling entails financially and decide if the losses are worth the benefits you gain when home schooling your child. Obtaining affordable homeschool curriculum is right at your finger tips.